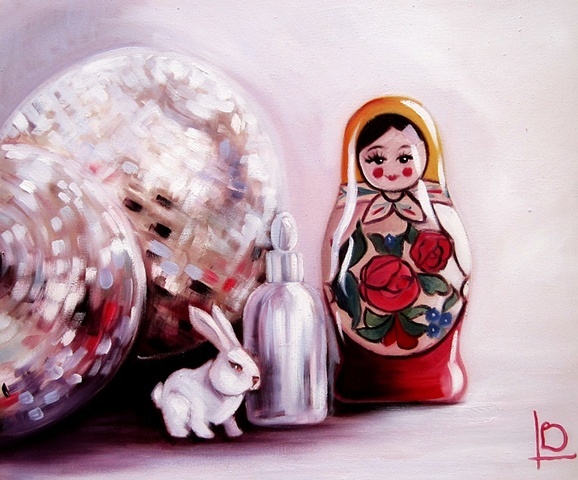 I'm really getting into painting objects that reflect light- like the mirrors on the balls, and the glass bottle, as well as painting things that I like to collect. I think the painting has a lovely vintage feel to it. The canvas is gallery wrapped, with white, staple free edges, so is ready to hang unframed.